Click here to load this Caspio Online Database. InCitySpace is in the heart of Seattle. Our Seattle Virtual Office and personal mail plans start at $39.95mo, include a professional Seattle Business address for your company. Choose our prestigious building location to be used as the Seattle business address for your company. A professional Seattle business address alleviates the privacy and personal security concerns of running a home-based business while providing the professional identity your clients will appreciate. Our professional Seattle business street address can be used for accepting, sending and forwarding mail without the connotations of a PO Box. Under US law, a PO box is to be clearly indicated and so not conducive for most corporate entities in this regard. InCitySpace is a physical office provider with private offices, conference rooms, workspace, co-working space, shared offices, and individual mailboxes for all our users. InCitySpace provides the best Seattle business address service and private mailing address rates starting at just $39.95/mo. Whether you need full-time office space or a simple business address, we have what you need. We are not a Seattle PO Box services. We are more than that. We offer a real street address and can accept and sign for any package type regardless of size or sender. Our Personal Mailbox Service is great for people who do not want to receive mail at their personal home and are in need of a Seattle Private Mailbox. If you regularly receive packages delivered from senders "like Amazon" that should not be left on one's front doorstep, our service is perfect for you. Our Personal Mailbox Service in Seattle is located in Ballard at 1546 NW 56th Street, Seattle, WA 98107 and is a real physical mailing address, not a PO Box, where we receive and can sign for all your mail packages as they arrive, including USPS, FedEx, UPS and more. Your mail items can be forwarded to you by mail or held for pick-up. If you are a Businesses needing mail services, please view our business pricing starting at $8.95/mo. 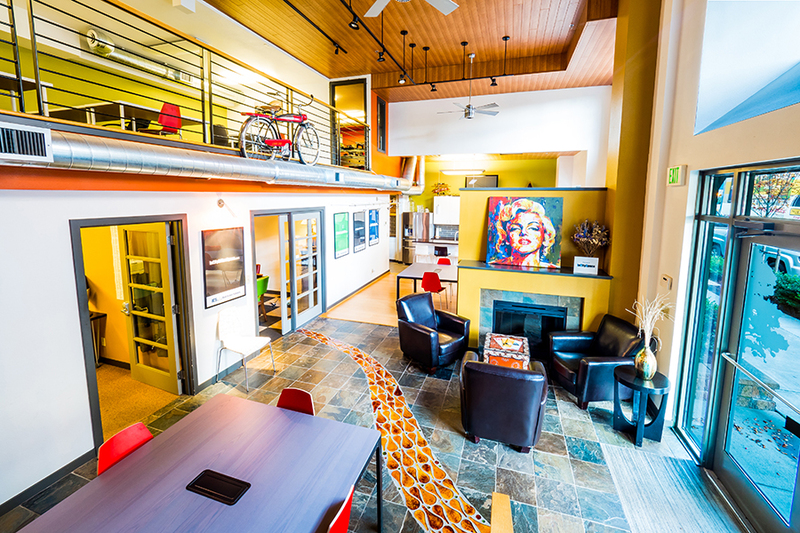 Seattle Co-working office space in Seattle may be exactly what you need. Are you starting your own Seattle area business and need to save cash? Do you want to test the sometimes turbulent waters of the business world first before you sign a long-term lease for Seattle office space or get a mortgage for a building? Does your business lend itself well to operating in a virtual environment? Are your employees willing to work from their homes, cars, or other moving targets? Or, do you simply think the environmental benefits are reason enough to consider a virtual work space instead of a full-time office lease? A Seattle Virtual Office and business address may be right for you. We have dedicated offices, co-working space, dedicated desks and much more.